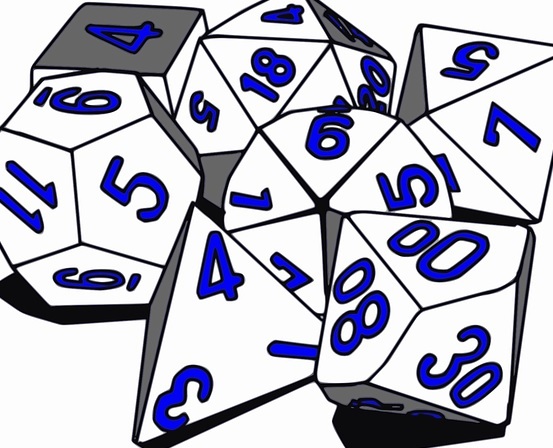 Monstrous Matters: Anyone know which D&D book(s) include the dice game Grand Hazard? Anyone know which D&D book(s) include the dice game Grand Hazard? The Hazard game in the Dungeon and Dragon (sic) manuals is actually a casino game called Grand Hazard. Modern gambling casinos invented the game to separate tourists from their money. Serious gamblers won't play it because the payoff odds are ludicrous. In the 1e Dungeon Masters Guide there is an appendix that gives rules for games of chance players might engage in. I don't have my DMG with me so I don't know the page numbers. Outstanding; thank you! I only recently got the 1e DMG (and in PDF...not great for browsing) and wasn't familiar with that appendix. Looks like it's Appendix F, and...well, Hazard isn't there, but a 3d6 slot variant is. Perhaps this is what the author was referencing...? At any rate, that's a great start. Thanks again!